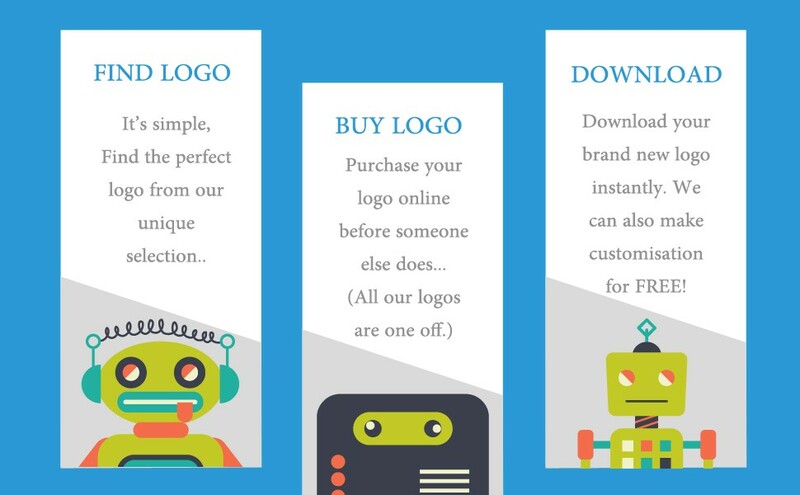 On this page we would like to explain how you can simply and efficiently buy logo from Lobotz.com. We at Lobotz.com have dedicated robotz that create exclusive logo designs out of this world. All our logos are unique fully vector and created from scratch. All logos for sale are one off,exclusive and will be sold only once. One thing we guaranteed is great prices to buy logo on the most amazing and one off logos for sale on the internet. It’s simple, you buy the logo that you like, you pay with your desired payment method and the the vector file will be in your account to download. Once you have the Source file you can then choose to edit it by yourself to however you like, or send us a quick email to support@lobotz.com and tell us exactly how you want us to customise your logo. Click the “Add to Cart” button on the logo page. Click on “Checkout” or “Your Cart”. Pay with PayPal or Credit Card (processed by PayPal). Depending on your region/country, you might need to create a PayPal account. Optionally, you can enter instructions for your free customization by emailing us. At lobotz we customize your purchased logo to your desired requirement absolutely free! Use the search icon on the top right of the site to find the logos that may fit your business needs. Try to use simple keywords that describe your product or a related object. For example if you are looking for animal logos, you can try to search for keywords such as “dog” or “animals”, but also related keywords such as “cats” or “pets”. One you search for the keywords, you will be presented of our logos from where you can click the logo you want to buy. When you buy logo at lobotz.com, by default you receive an EPS four colour process vector file, which is resolution independent meaning you can enlarge it to any size without loss of quality. This EPS file can be opened in various platforms and vector applications and it is used by all designers and print houses for correct reproduction of your logo. This file should be used for all purposes when working with designers or printing it on any surface. From this file any other format at any size can be exported. We are happy to provide additional sizes and file formats if requested.